Please note: I am not a tax expert and I am certainly not an accountant. Double check with your accountant with any serious tax-related questions. Every year, in the dead of winter, it creeps up on us. Regardless of how much you try to get away from it… there’s no escaping. Yes, I’m talking about tax season. Before you cringe and close your browser tab, keep reading. 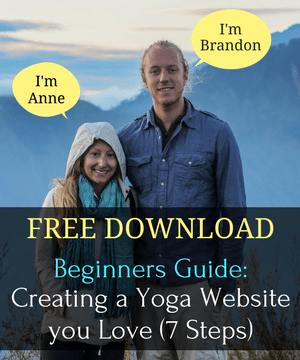 I’ve done my best to compile a complete tax guide for yoga teachers in the USA. 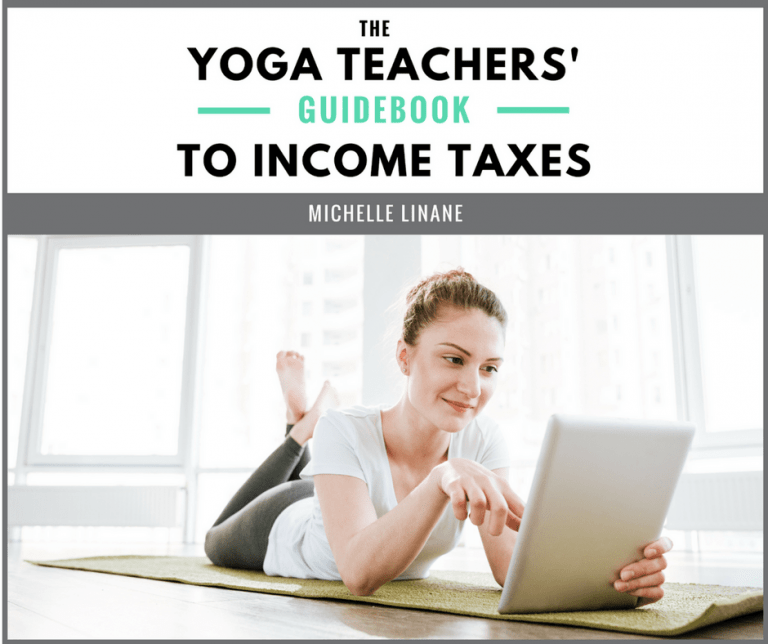 However, if you really want to maximize your tax return, I recommend checking out our friend Michelle’s Yoga Teacher’s Guidebook to Income Taxes. 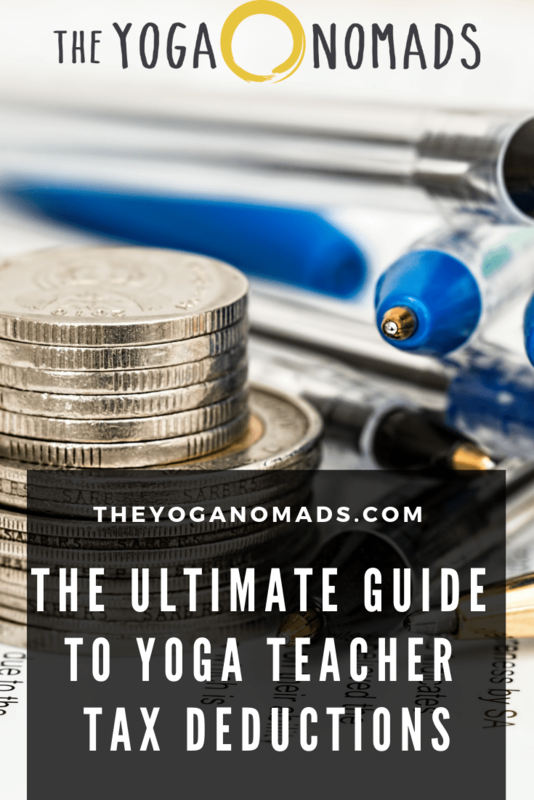 She discusses many topics including: what it means to be an independent contractor according to the IRS, how to keep track of your income and expenses throughout the year, and what deductions apply to yoga teachers that will reduce the amount you owe! 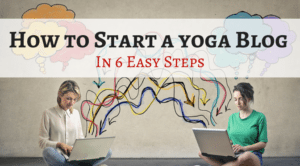 There are a few things you need to do before getting started on tax write-offs for your yoga career. Do you get paid on an hourly or per-class basis, travel from studio to studio, and supply your own expenses (props, mat, music, etc)? Does your studio not withhold any taxes from your hourly rate? If so, you’re most likely an independent contractor. If you teach to the studio’s requirements, rely on the studio’s props, and your studio withholds taxes from your paycheck, you are probably an employee of that studio. 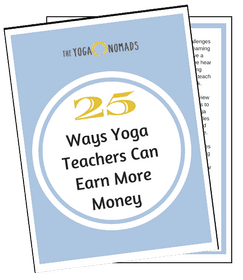 ….If you’re still not sure, most yoga teachers are hired as independent contractor, but ask your studio owner to be sure. The difference here is key – if you are an independent contractor, you are eligible for tax deductions! Keep in mind, you may be employed differently at different studios (for example, one of the studios I teach at considers me an employee and deducts tax from each paycheck; the other studio pays me in cash per class). How many classes you teach at each studio? What you get paid per class? Mileage driving to and from studios? Liability insurance, CPR training, etc. Keep receipts, pay stubs, and checks you’ve deposited. Keep all of this information in some sort of filing system, organized by month. A manilla folder works. You’ll thank yourself later. Create an excel spreadsheet in January (do not wait until April!). Track money that flows in (excluding your “employee” income) and track your expenses. This will help when you fill out Schedule C (especially since you have all of your receipts in your file folder). If you are an independent contractor, you can deduct any necessary expenses from your taxable income. 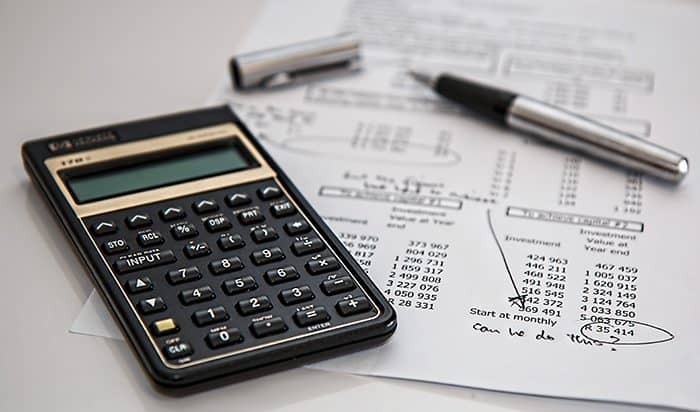 According to the IRS, to be deductible, a “business expense” must be “both ordinary and necessary” – AKA common in your industry and helpful for your business. And anything else that is necessary to operate your business. Dues and publications can often be deducted because they contribute to maintaining status in the industry and continuing education. 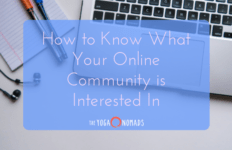 Examples are your yearly membership dues for Yoga Alliance or a monthly subscription to Yoga Journal. If you are required to purchase Liability Insurance or go through a CPR course, these can be written off as well. 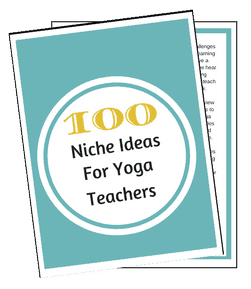 Thinking of going through another teacher training? Write it off! As long as you’re teaching at a studio as an independent contractor, teacher training programs and workshops can be considered continuing education. That’s pretty awesome, right? Using your home as a studio: if you teach yoga from your home, you can deduct percentages of rent, utilities, home insurance, and anything that relates to using your home as a business. Consider opening a business bank account. This will help keep your personal and professional expenses separate. Consult with a tax professional. 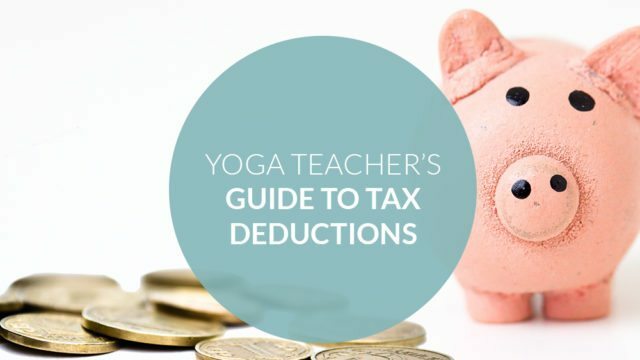 This article is a great starting point for tax deductions for yoga teachers (or any fitness professional). However, it’s always a good idea to talk to the experts! Looking for more help on your taxes? 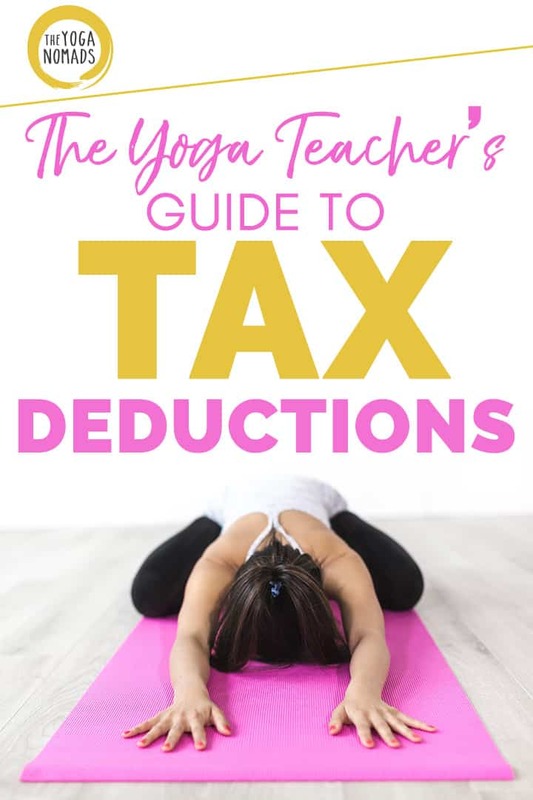 Our friend Michelle created a Yoga Teacher’s Guide to Tax Deductions and we highly recommend it. I can almost guarantee it will save you hundreds of hard earned dollars this year. There is nothing like it available online. Only costs $40 and comes with a 30-day money back guarantee. 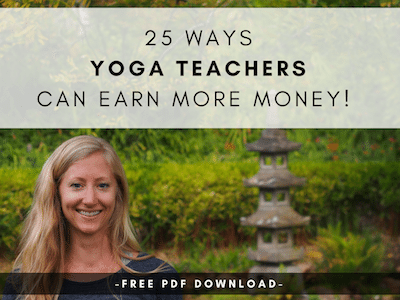 Check out the Yoga Teacher’s Guide to Income Tax here. It is very questionable that yoga teachers can write off yoga clothing. 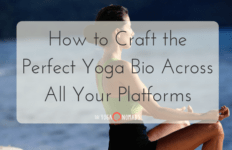 Yoga clothing is generally considered streetwear and clothing that you can write off is very restricted. “Work clothes and uniforms if required and not suitable for everyday use.” It would be hard to argue today that all yoga clothes are not suitable for everyday use. “It isn’t enough that you wear distinctive clothing. The clothing must be specifically required by your employer. Nor is it enough that you don’t, in fact, wear your work clothes away from work. The clothing must not be suitable for taking the place of your regular clothing. Musicians and entertainers can deduct the cost of theatrical clothing and accessories that aren’t suitable for everyday wear. Thanks for your insight here! Sounds like something you have dealt with personally. I will look into the IRS link you provided and update the article as needed. Hi! How about a yoga membership? 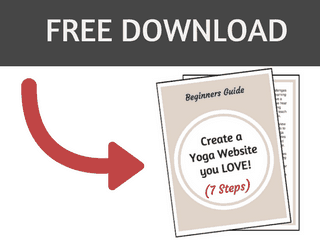 I teach but also belong to a yoga studio… I think this is also continuing education , eh? I am not a tax expert, but as far as I understand that would count as continuing ed! Good thinking.